Rewards Canada: IHG Rewards Club Buy Points Flash Sale - 100% Bonus until May 19, use it to save on your IHG stays! IHG Rewards Club is once again offering their great 100% bonus on buying their points. You only have until May 19th to buy them and if you purchase 5,000 or more points you'll get the number of points you buy doubled. As is always the case when buying at the 100% level, each point will only cost you 0.575 cents. If you choose to buy the maximum number of points, 60,000, it will cost you US$690 but of course you'll end up getting 120,000 points. 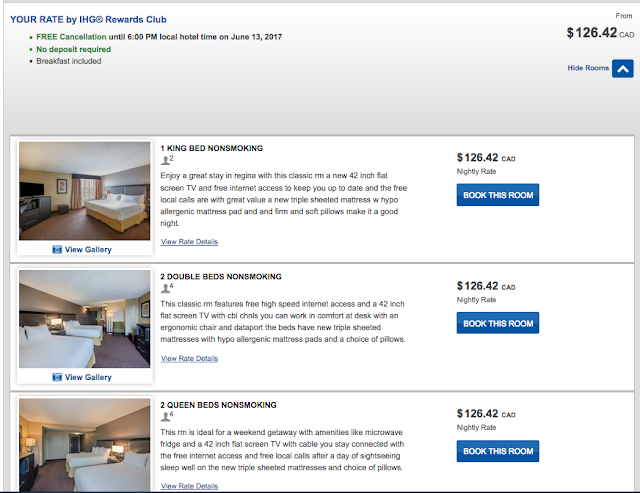 That's 24 nights at IHG hotels if redeeming via the PointBreaks option which works out to only US$28.75 per night! You only need 5,000 points per night and you can buy 5,000 points to get 10,000 total with this bonus. The cost is US$67.50+GST or about $97 Canadian all in. 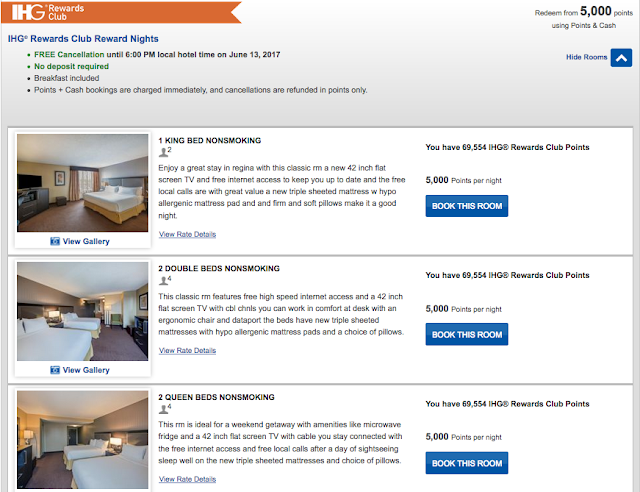 We checked the middle of June and the 5,000 points was available while the best available (non-refundable rate) was $126 pre taxes. Right away you are saving nearly $80 as one night with the points purchase is only ~$48.00! That's a huge discount!